Lawn Maintenance plans starting as low as $100.00 a month. A little about myself . I am a life long resident of Fernandina Beach. I love the outdoors. One of my first jobs as a young man was working in the Garden Center at Wal-mart for 5 years. I gained a large amount of knowledge on working with plants there, along with the help of my Grandfathers, Paul Duncan and Chris Johnson. 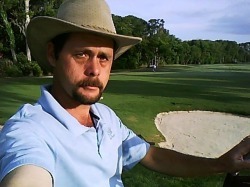 I have worked for The Golf Club of Amelia Island for 20 years where I was a mechanic for 5 years, the spray-tech for 5 years, and finally the Assistant Superintendent for the last 10 years. I have a vast amount of knowledge in all types of grass and landscaping plant's, as well as Irrigation. And if you do not have irrigation there is a lot you can do with xeriscaping your landscape. I love the work I do and would love to help you have one of the best looking landscapes in this area.